Request copies of your DD214 Certificate discharge papers. 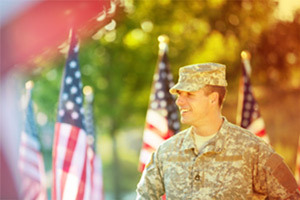 Have official copies of your military transcripts sent to the University of Florida. 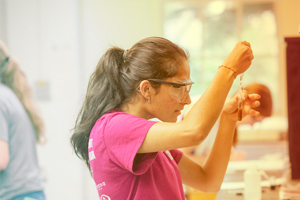 Review our admissions website with information for freshman, transfer and graduate admissions. Review the policy on Florida residency and complete the online form, if applicable. If you are an out of state resident, review the information on out of state fee waiver. Review our on-campus and off-campus housing options. Apply for admission by the deadline. Freshman admission deadline is November 1. Transfer and graduate admissions deadlines vary, with graduate deadlines based on the academic unit to which you are applying. Schedule a campus visit/tour. If you are unable to travel to Gainesville, check out our virtual tour. Pay your Admissions Deposit by the deadline (freshmen only). Use the Online Status Check to verify that UF admissions has received all materials related to your admission. Freshman admissions decisions are made online the second Friday in February. Transfer and graduate admissions are on a rolling basis. Register for the mandatory Preview (orientation). Make sure you have a UFID and Gatorlink email address. Arrange for housing. If living on campus, sign your housing contract and pay your housing fee by the required date. Certain immunizations are required by all students. Submit your immunization form. 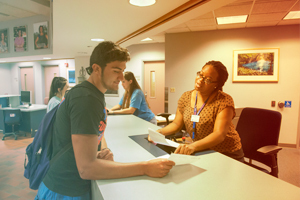 UF students are required to have health insurance. More information. Join the UF Collegiate Veterans Society group on Facebook. Visit the UF Student Veterans Center, 222 Criser Hall or online to inquire how we can be of service, as well as the Collegiate Veterans Sucess Center in Yon Hall or online.